I live in Melbourne and most I my family live in northern New South Wales or south east Queensland. I love living in Melbourne. I love the cold (as does my Canadian husband! ), the food and the culture. But there are times when living so far from family gets me down. I had two of my aunts stay with me last weekend (one from Sydney, one from Brisbane) and it was just so much fun. One of my aunts is quite a talented seamstress and talked me through a pattern I'm about to tackle - the Make it Perfect A+ skirt. 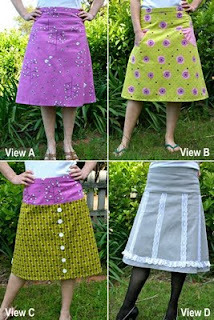 This will be my first sewing project for me, since I was about 14 and doing home economics at school! I'm not sure why I am worried, I make so many other things - how hard can it be! Well I'm even more confident now with all the tips and tricks my aunty taught me on the weekend. Simple things really but having someone take you through - matching the grain, measuring to ensure it is straight, shaping it to fit me (and my bum!) - makes a difference. 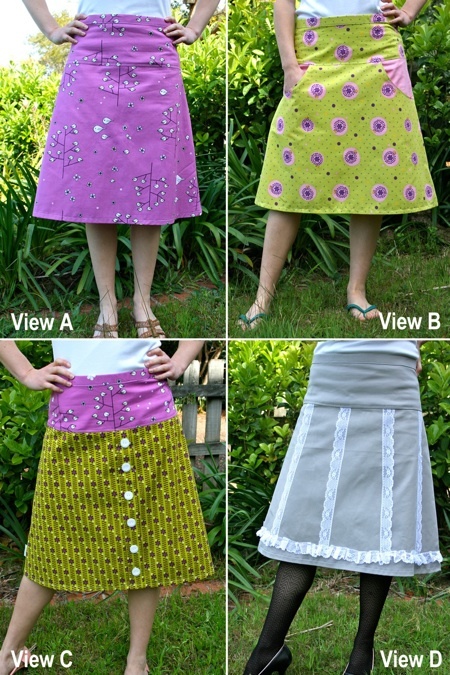 All to ensure that I have the perfect skirt in the end. So thank you Aunty Trish, I'm so grateful. The next day, I took my other Aunty to Rathdowne Fabrics and Remnants in Brunswick. Who has been watching Project Runway on Foxtel (love!)? I have lived in Melbourne for 10 years - why have I not been there until now? I had so much fun and found some great fabrics and remnants. This is certainly one place I will return to. So yes the distance is an issue but I make it count when I do see my family!